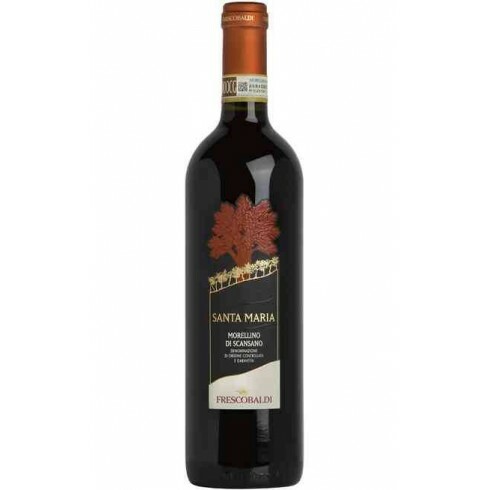 2015 Santa Maria from the famous Frescobaldi House in Toscana. One of the newest wines from Frescobaldi - youthful and vivacious, it’s crisp, fruity character makes it ideal for any occasion. The Sangiovese and Cabernet Sauvignon vines for the Santa Maria red wine grow in the vineyards at Frescobaldi’s winery near Grosseto in Tuscany. The grapes were harvested by hand, sorted and destalked followed by 11 days fermentation on the skins. The wine was matured for 10 months in stainless steel tanks followed by 2 months in the bottles. Bouquet: An intensely fruity nose of raspberries, cherries and plums accompanied by light citrus accents of bergamot and spicy cinnamon. Taste: Harmonious, very persistent and well-structured,it finishes with a pleasant taste of spices and citrus fruits.